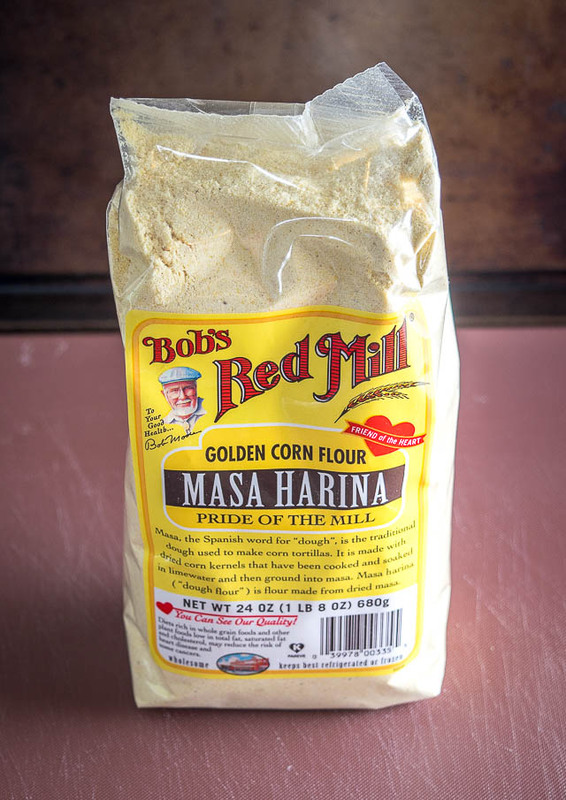 So what exactly is the difference between Masa Harina and Cornmeal? And more importantly, can I use them interchangeably?! I get this question all the time so here’s the quick skinny on these common kitchen ingredients. First let’s start with some dried field corn. Grind this up into a fine texture and you’ve got cornmeal on your hands. You’ll find various types of cornmeal in grocery stores, like fine vs. coarse, white vs. yellow, but it all starts with dried field corn. But now let’s take that dried field corn and soak it overnight in an alkaline agent like Calcium Hydroxide. This will dissolve the outer skin and improve the nutritional content of the corn. It also makes it taste better! The next day you can rinse off the outer skins and grind it up. 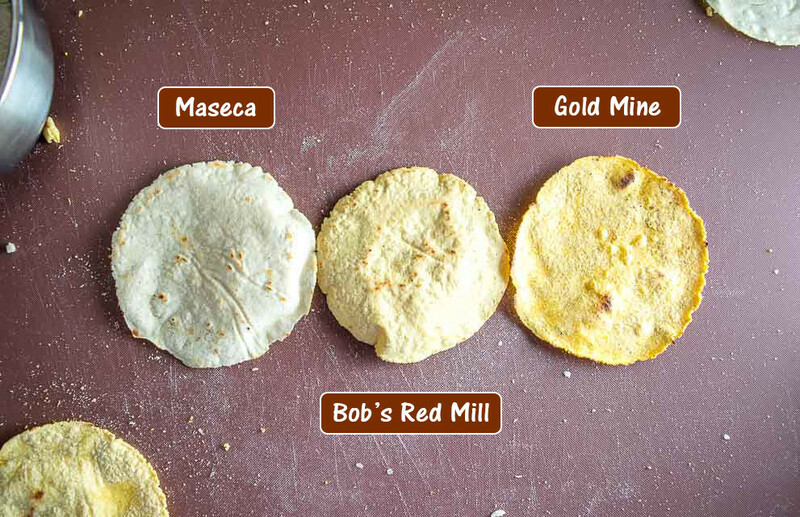 And now you’ve got some masa dough on your hands. 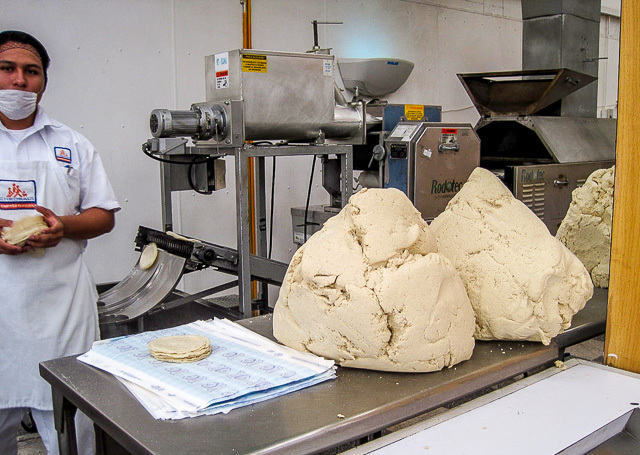 This is the dough that makes Mexican cuisine unique! It’s used to make tortillas, tamales, gorditas, etc. and it has a palatable flavor that you’re probably familiar with! Producers will de-hydrate this masa dough and the leftover product is Masa Harina! It looks like a fine grade flour and its color will vary based on the corn you started with. So yes, Masa Harina is essentially masa dough that’s been de-hydrated — all you need to do is add water and you’ve got some real deal masa dough on your hands! So can Masa Harina and Cornmeal be used interchangeably? 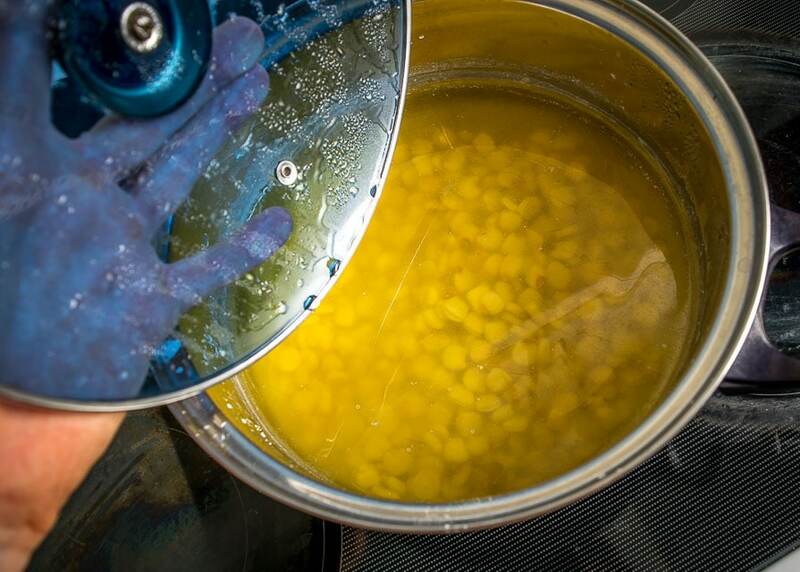 Masa Harina uses corn that’s been soaked in an alkaline agent and it has a distinct flavor. 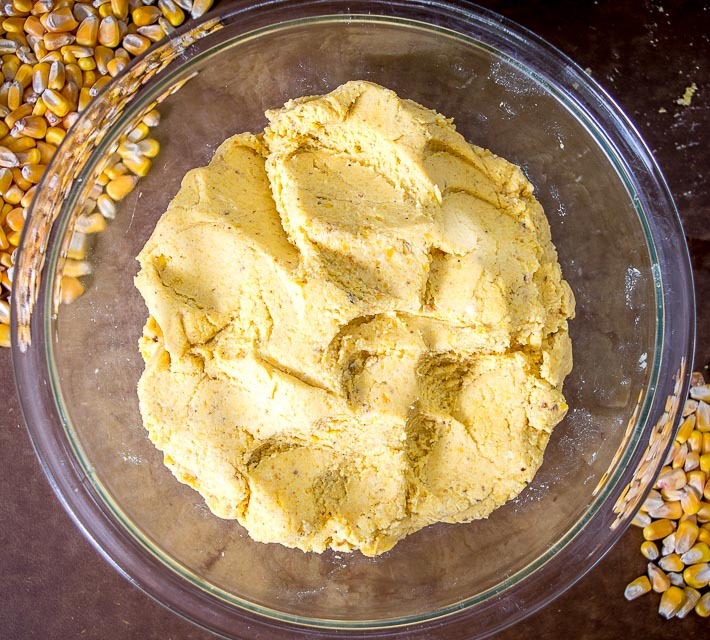 The corn used for cornmeal hasn’t been treated like this and won’t have the same flavor as Masa Harina — so if you try to make tortillas or tamales with cornmeal most likely you’re going to be disappointed with the flavor! I also want to mention one other tidbit that can confuse people. Sometimes producers will grind field corn down to a fine grade and call it corn flour, even though technically it’s still cornmeal albeit at a finer texture. 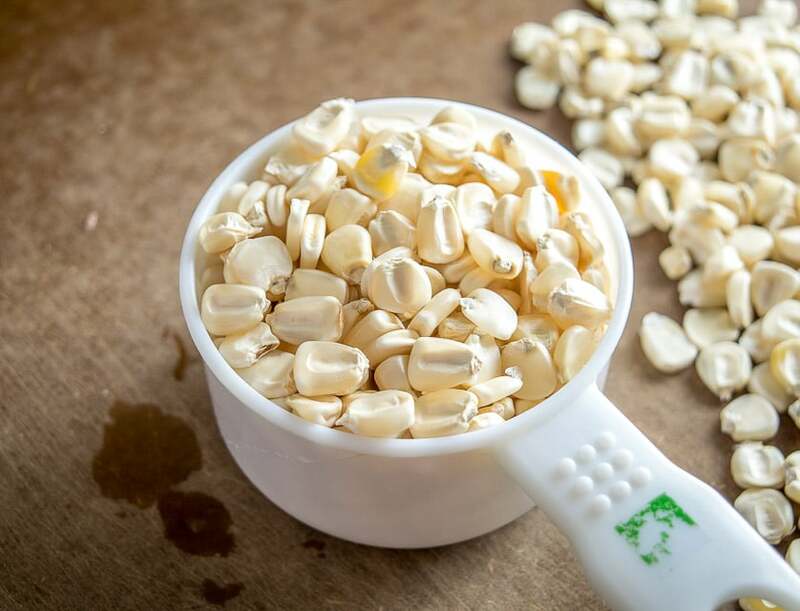 At the same time, some people will refer to Masa Harina as corn flour and this means that all of these terms are sometimes used interchangeably and this can create some kitchen chaos! Just remember that Masa Harina is made from corn that’s been treated with an alkaline agent that imparts a distinctive flavor. Cornmeal won’t have the same flavor because it hasn’t been treated like this, so I never use it in place of Masa Harina. Okay, I hope that clears it up! Feel free to get in touch if you have more questions about Masa Harina vs. Cornmeal.